No one likes to have dry skin, but unfortunately, this condition happens to plenty of people. Even so, with proper care, this can be avoided. Not only strict hygiene is important but also the type of product you might use. And the secret stays in the body wash. If you choose the one right for you, you can forget all about dry skin and its inconveniences. 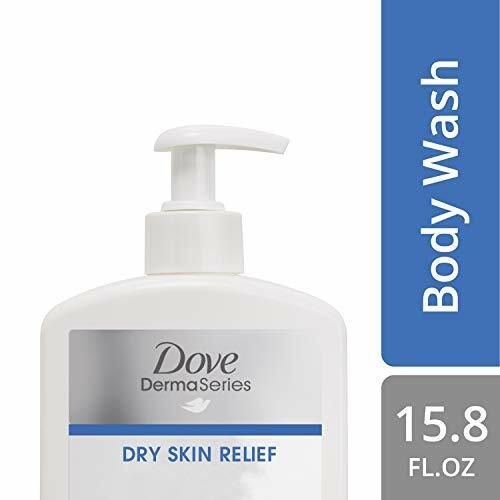 This guide will help you find the best body wash for dry skin according to dermatologists and what to consider when you are shopping for it! What makes a body wash great for dry skin? Why would you use a body wash to moisten your skin? How to find the perfect body wash for my skin? The market has a lot to offer regarding body wash products which might make the decision overwhelming. Many manufacturers claim to have created the perfect body wash which can moisten dry skin! 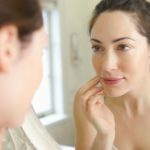 As a general rule, it is important to know your type of skin before buying the product that you need. A good body wash for dry skin will not only get rid of the problem temporarily but in the long run. You might want to look for products that clean and hydrate your skin as you wash it and not just products labeled nice. The main trick is to read the ingredients. The best moisturizing washes for dry skin will most likely contain Aloe Vera, glycerine, natural oils, and herbal ingredients. The main purpose to get a high-quality body wash for dry skin is, to get rid of your itchy skin. But many other benefits will make you appreciate such a product. For instance, your skin will be moisturized the right way which is very important. You will also enjoy all the natural ingredients that such a body wash usually comes with. Your skin will look and feel softer instead of the itchy aspect that you might be used with. We made a selection of the best moisturizing body washes available. Continue reading if you want to see how our beauty experts reviewed these body washes. 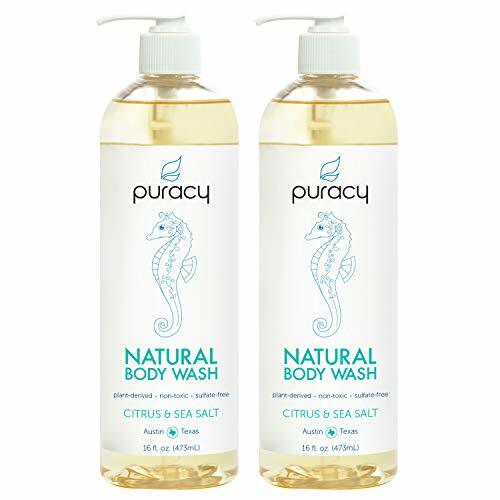 At a very friendly price, Puracy Natural Body Wash can do miracles for your skin. It is a sulfate free product, and the manufacturer claims that it is made of only natural ingredients. This particular body wash makes it safe for any skin and very effective for dry skin. Even the fragrance of Puracy Natural Body wash is natural, meaning it wasn’t modified with chemicals. Since the main ingredients of this body are coconut oil, citrus and sea salt, you can count on amazing results from it. The foam it creates is very thick and meant to clean your skin well every time you take a shower. Another great benefit of this body wash is that it was designed and tested by doctors that know exactly what a dry skin needs. It can be used on a daily basis, and it is recommended for both men and women. Final Verdict: Natural body wash is perfect for both men and women! Dove DermaSeriesis another great option to take care of your dry and itchy skin. It comes at a budget-friendly price and just like most products created by Dove; it is very creamy and efficient. This body wash was created for severely dry skin, and it is also hypoallergenic. So if your skin is extra sensitive, you don’t have to worry about developing some reaction to it. It can be used daily by people with all types of skin. Besides all these benefits, Dove DermaSeries was also tested by dermatologists, so you know for sure that it is safe to use for such skin problems! This product has no fragrance, and it is also soap free which empowers its natural qualities. It is made to not stick on the skin, and you can rinse it easily before you are done with your shower. Also, this product can be used daily so don’t worry about using it too much. Final verdict: Hypoallergenic body wash is suitable for the dry and itchy skin! 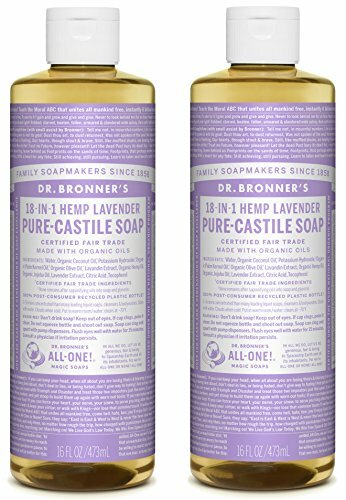 Dr. Bronner’s Pure-Castile can be used as liquid soap or a shower gel equally thanks to its high-quality ingredients! And if you like Lavender, you will for sure love this body wash. It has a natural lavender fragrance that will also make your entire skin smell fresh and nice, and it will have a calming effect on your mind as well. Not only this product is one of the best body wash for dry skin, but it is also made of vegan and organic ingredients! The main ingredients are hemp, coconut oil, and olive oil, all known for the amazing benefits they bring to all types of skin. Even more than that, you can use Dr. Bronner all over your body, including your hair. This product is certified by the USDA as being one of the best organic products on the market. And even if the price is not the cheapest one, it is an investment worth making for your skin! Final Verdict: A great organic and vegan body wash is essential for all types of skin and even hair! 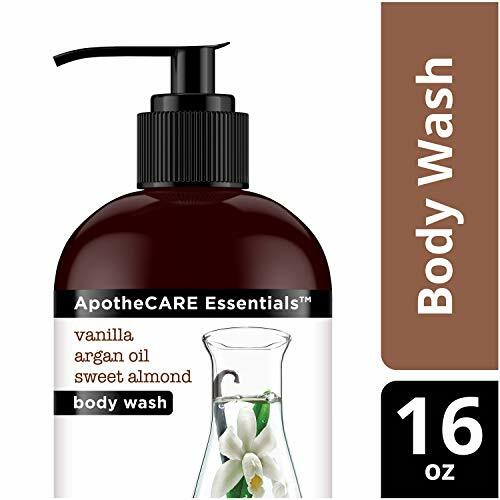 If you are looking for the best combination of a quality body wash and a good price, ApotheCARE Essentials body wash might be the best hydrating body wash for you. Besides the fact that this product comes at a very friendly price, it also has all the benefits your skin needs! This body wash will add the needed level of moisture to your body, but it will also clean it efficiently. The ApotheCARE body contains vanilla extract, natural Argan oil, pressed almonds and other ingredients that only work against your dry and itchy skin. It is the best solution for women who face skin problems, and if it is used daily, it will have long-lasting benefits. It is a paraben free, sulfate free and dye free so it won’t have side effects on your skin. Even if this body wash is meant especially for extra dry skin, it is suitable for all types of skin a well. Final Verdict: A great product, especially for women, which you can use on a daily basis! 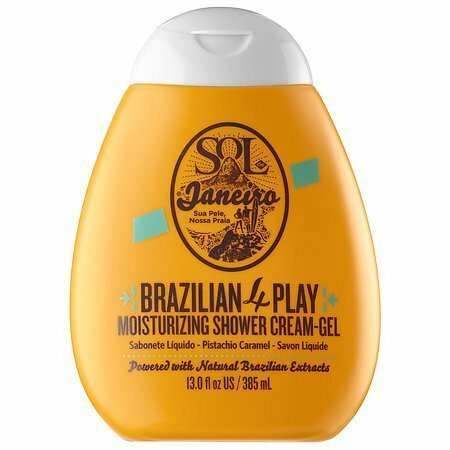 Regarding high-quality body wash, Sol de Janeiro Brazilian makes it hard to compete with. It is not the cheapest product on the market, but it does bring plenty of advantages for those with dry and itchy skin. The main ingredient that this body wash is based on is Acai oil. This type of oil maintains your skin moisture and healthy for a long time. It is also antioxidant and contains strong natural fruity fragrance. Other ingredients that can be found in this body wash are coconut oil, Cupuacu butter, and Shea butter. These entire ingredients make Sol de Janeiro Body wash suitable for all types of skin, even if it is directed to the dry and itchy type. Your skin will be hydrated, healed and left with a very nice and natural perfume from the first time you use this product. Final Verdict: Best natural fragrance for a body wash meant to treat dry skin! 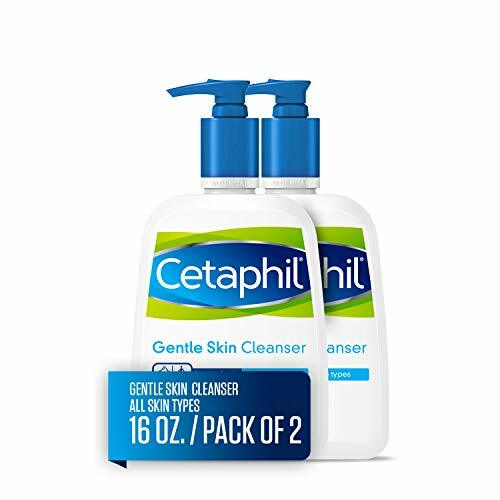 Make sure your skin stayed moisturized and hydrated by using this skin cleanser from Cetaphil! It will clean your skin efficiently, and it is easy to rinse off your body without leaving it oily. This product might not be the most budget-friendly one, but it is one of the best body wash for dry skin to try! And it is not just suitable for people with dry skin. Cetaphil works great for skin conditions such as acne, Psoriasis or Eczema. Besides that, it can be used for children, teenagers, and adults equally and it matches the needs of both men and women. With such great features, this body wash can be an asset to your entire family. It is meant by Galderma Laboratories and tested by dermatologists. So the benefits of this body wash are undoubted! Final Verdict: The best solution for dry skin and suitable for your entire family! Alaffia is another option that you can consider when you are facing dry skin and itchy discomfort. It is based on Shea butter which is known for calming the skin and taking care of a variety of skin issues. This is the type of lotion that will focus on deeply moisturizing your skin and keeping it hydrated. It has no added essential oils and no fragrance. And it is meant to be used on a daily basis by both men and women with all types of skin. However, the best benefits of this product are designed to accommodate the needs of people with dry and itchy skin in particular. It will give you results from the first time you use it, and if it is regularly applied, it will heal your skin for the long run. Final Verdict: Budget-friendly solution for your dry and itchy skin! 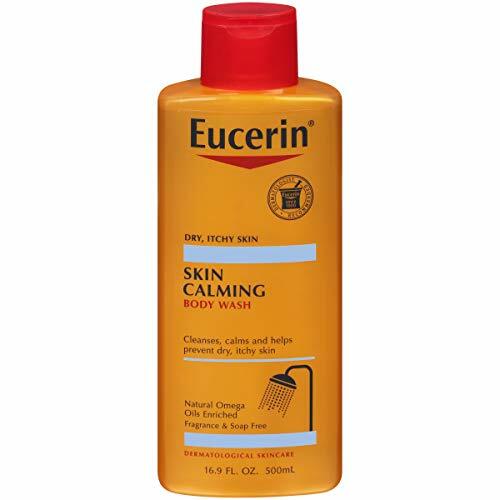 Eucerin Skin Calming Body Wash will not only heal your dry skin but also clean it and maintain it hydrated. At a very budget-friendly price, you get an efficient formula to treat your skin problems with. This body wash is rich in Omega oils that get absorbed in the skin nicely and don’t leave any oily residue when you rinse. It is free of artificial fragrances, dye free and soap free which is why it won’t irritate your skin at all. This body wash is also supported by dermatologists thanks to its benefits and efficiency. Besides dry and itchy skin, Eucerin body wash is suitable for all types of skin so you can use it to prevent certain conditions instead of treating them. The lather it creates is soft and mild, so you won’t find any inconveniences as you are using this body wash on a daily basis. Final Verdict: The best body wash for dry and itchy skin is at a very friendly price! AHAVA mud soap can do miracles for many skin conditions! This soap can be used as a body wash since it accommodates all types of skin. It is known for the antibacterial effect that it has even from the first time you use it. Also, it will wash off the extra oil that can be found on your skin and only treat it with the ingredients it needs. To obtain the best results, you should massage this soap all over your skin until the healthy formula it comes with is absorbed into your body. Then, rinse it carefully with a soft sponge. 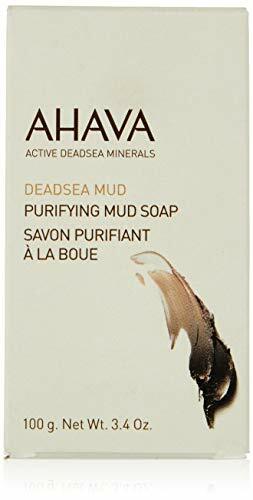 The secret ingredient of AHAVA soap is the mud that comes directly from the Dead Sea. It will scrub the bacteria and another unwanted residue off your body and leave you with hydrated, soft skin. Final Verdict: Use the Dead Sea mud to treat your dry and itchy skin! This bar soap is the salvation for people struggling with sensitive or dry skin. In contrast to a lot of other products which can damage sensitive skin, this soft soap moisturizes your skin perfectly so it feels soft again. Since the beginning of time people have been using milk as a cleansing product. 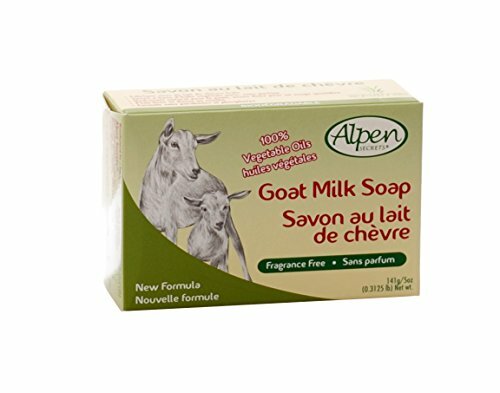 The Alpen Secrets Goat Soap is a natural product which uses the strong fragrance-free goat milk to put a soft layer of cream on your skin which can be used both as a body wash and as a shampoo. A nice side-effect is that also seems to be helping with acne prone skin as it really soothes your dry, sensitive and itchy skin. When you want to get the best body wash to moisturize your skin, there are several characteristics to look after. Make Sure That It Has The Right Ingredients: The key to a high-quality body wash is the ingredients that it contains. If you have a condition of the dry and itchy skin, you want a product that hydrates and moisturizes your body. Which is why you should try to get a body wash that is rich in natural oils, herbs and minerals and as low as possible in chemicals. Consider The Price: This is not a onetime investment. Most likely you will use your body wash on a daily basis for a long time which means that you will continue buying it. To not struggle with keeping up with this type of skin treatment, try to find a product that you will be comfortable buying at least monthly. What’s The Target of the Product: Body wash products are usually intended for women, men, children or all of these categories together. You need to make sure that the product that you want to buy is the best body wash or soap for dry skin that matches your biological needs. Men have different skin than women and if you don’t find a body wash that accommodates both genders, try to find one that suits yours. When Should You Use It: You’d think that a body wash should be used daily, but you still need to check the instructions. Some products are too intense, and they need to be used once a week or once at a couple of days. Check that before starting to use your body wash every time you take a shower. What Other Benefits It Comes With: If you get a body wash that can repair dry and itchy skin, check for other features that it might come with. The best of them offer treatment for a variety of skin conditions. And if you can enjoy more benefits in one product, why not! To obtain the results that you are aiming for, you need to use your body wash regularly. Don’t change the brand you use every time you take a shower. Try to stick with one product for a couple of weeks to see if it works for you. Another aspect to consider is the way you wash. The sponge, for instance, is very important as well. You need a sponge that can gently clean your skin without rubbing it too much. A rough sponge can harm the surface of your skin and increase your dryness or itchiness discomfort. When you finish your body wash step of the shower, make sure you rinse your body with warm water. If you use too hot water, you can take away from the effects of the body wash, same if you use cold water. While all the products listed in this guide are of high quality, Dr. Bronner’s Pure-Castile body wash is a little richer in benefits. On top of the fact that it is found in both vegan and organic; so you can use it for a variety of purposes. You can use it as a liquid soap, shower gel or even shampoo! This makes Dr. Bronner’s Pure-Castile the best body wash for dry skin as well as for other skin conditions! Taking care of your skin should be one of the most important routines you have. And if you develop it healthily on a regular basis, you will avoid a lot of skin problems in the future. Try to find the best body wash for dry skin and incorporate it into your daily routine for maximum benefits! The chances are that your skin will look and feel refreshed after just a few days of taking care of it the right way!